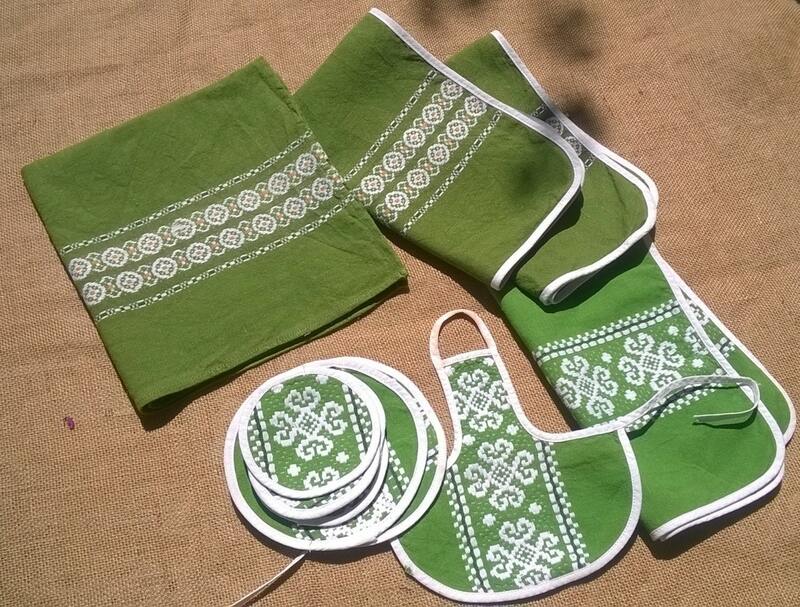 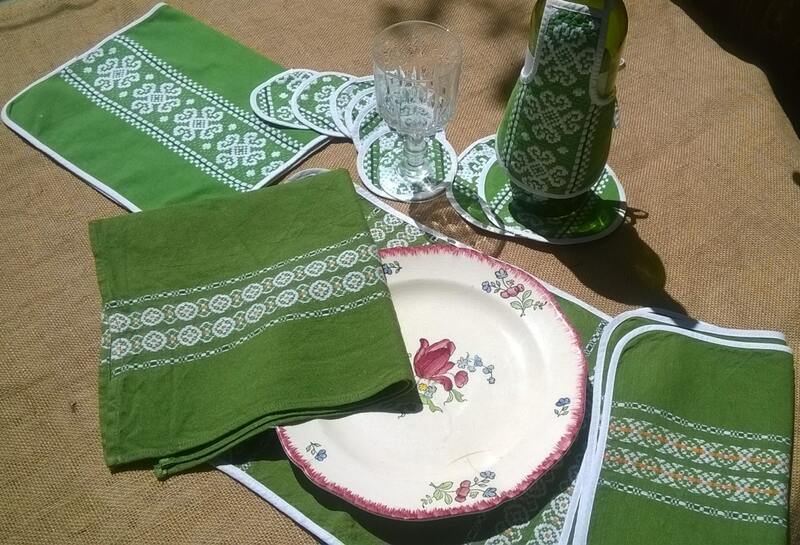 Beautiful French Basque linens set including 3 place mats, 1 napkin, 8 coasters, 1 bottle apron. 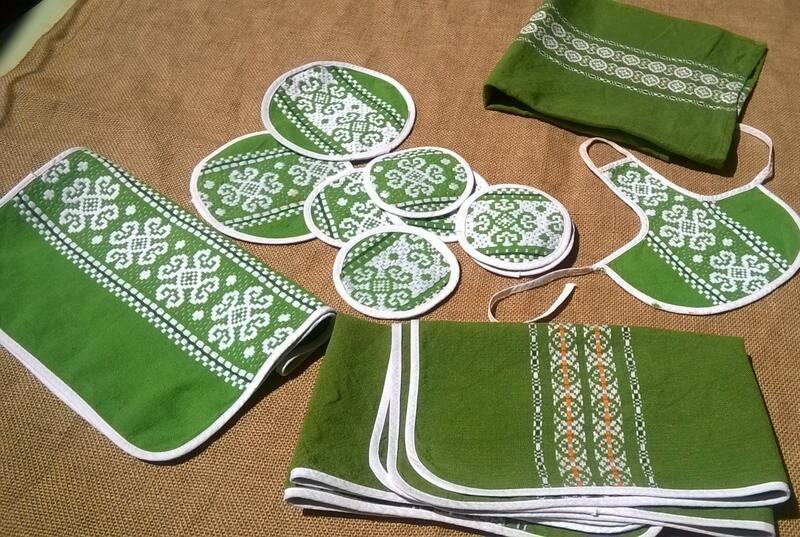 Green Metis linen (cotton woven with cotton) with white embroideries. 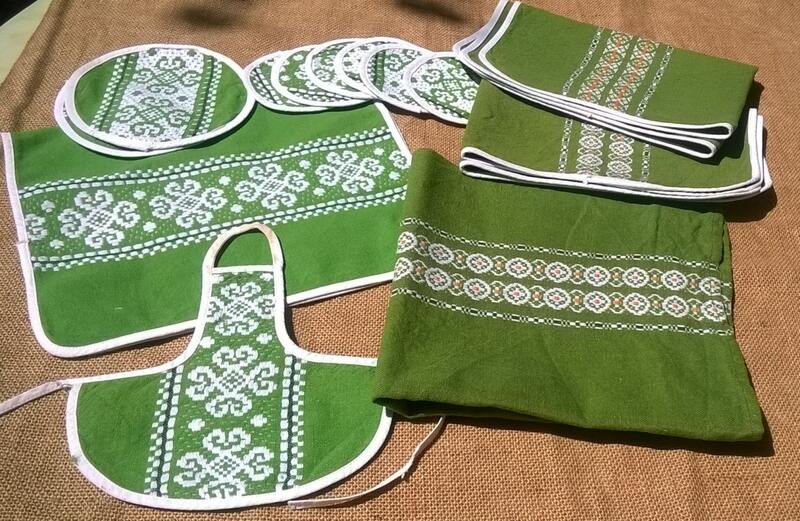 Two types of embroidery patterns. 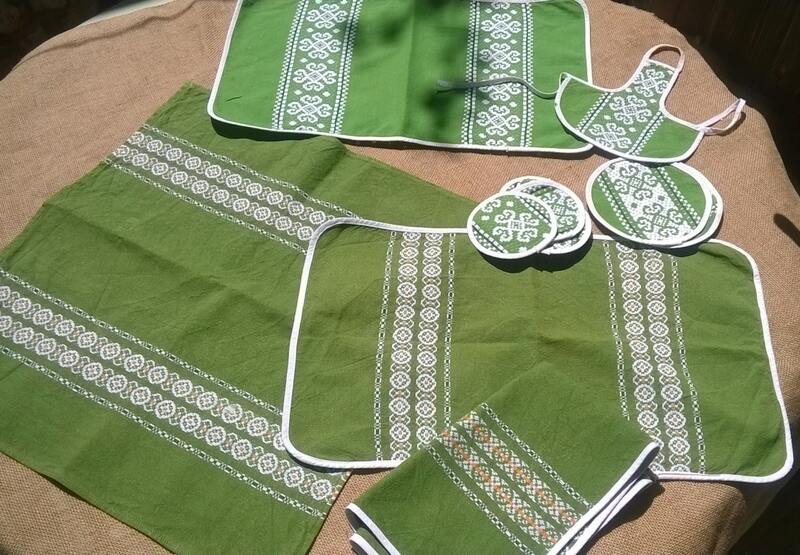 Gorgeous set of Folk linens to be in use again or to use as sewing projects.